July 5, 2018: This story has been updated. Invesco is an Atlanta-based independent investment management firm with worldwide offices from Beijing to Brussels. 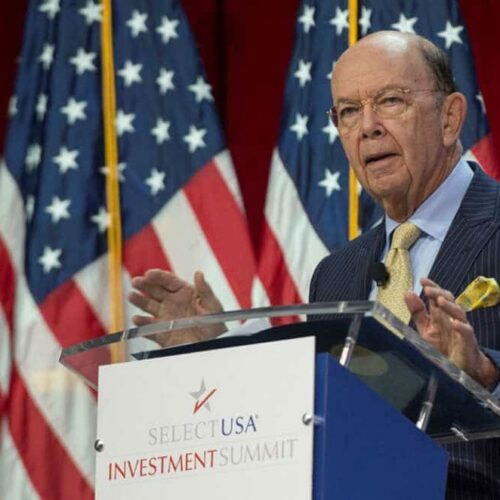 Ross had sold his firm, WL Ross and Company, to Invesco in 2006, and stepped down from his positions with the company and its affiliates when he took the commerce secretary job. The stock price for Invesco Ltd. from the end of May 2017 until December 2017, when Commerce Secretary Wilbur Ross sold his shares. Ross “mistakenly believed that all of my previously held Invesco stock was sold” before he assumed the commerce secretary position, according to a note in the transaction report he filed with federal ethics officials. “In December 2017, I discovered that the previously held stock had not been sold. I then promptly sold these shares,” he wrote. He attributed the confusion to a separate arrangement with the company regarding divesting his unvested stock. The Commerce Department referred questions to Ross’ personal lawyer, Theodore Kassinger of law firm O’Melveny & Myers, who confirmed Ross’s account of how the error happened. Ross realized he still owned the stock after receiving a statement that showed it, Kassinger said. "Unfortunately, I mistakenly believed that all of my previously held Invesco stock was sold at the same time as the purchase of the previously unvested stock; that is, before my appointment as Secretary. In December 2017, I discovered that the previously held stock had not been sold. I then promptly sold these shares." Kassinger stressed that Ross could have made at least as much money, if not more, if he’d sold the stock on time and reinvested the proceeds in an approved investment, giving the example of an S&P 500 index fund available through Vanguard. In addition, Kassinger said, there is no way to tell when within the 90-day window Ross would have sold the shares, so no real way to know how much Ross would have made from the stock if he had divested before the deadline. Ross signed the transaction report confirming the stock sale in December 2017. But the Office of Government Ethics, the agency charged with administering federal employees’ compliance with ethics requirements, did not certify and publicly release it until last month. The report, which is meant to help ethics officials monitor any possible conflicts of interest among government officials, was released last month, and first reported by Forbes. This latest filing contradicts an earlier one that included a sworn statement saying Ross had divested everything he had promised to divest — including the Invesco stock. If Ross did recuse from a government matter that could affect Invesco or anything else, the Commerce Department appears to have no record of it, according to the department’s response last week to Freedom of Information Act requests from the Center for Public Integrity. The requests asked for any record of recusal determinations or ethics waivers for anyone at the agency — which would include Ross — since Jan. 1, 2017. In response, the Commerce Department said it had no such records. Numerous additional inquiries from the Center for Public Integrity about whether there were indeed no such records produced confusing responses from FOIA officials at Commerce, rendering the actual answer unclear. (Update, July 5, 2018, 3 p.m.: After publication, a Commerce Department spokeswoman said in an email: “Consistent with his ethics agreement, the Secretary has consistently disqualified himself from participating in any matters involving companies on which he formerly held a position, including Invesco. Ethics experts said it is possible that Ross recused, but there would not necessarily be a written record of it. Because Ross had also held positions with Invesco and affiliated entities, he also promised to recuse for two years from any matter in which Invesco was a party. That narrower restriction would apply whether or not he had divested the stock. Recusal requirements are an essential part of ethics requirements, experts said. Kassinger did not say whether Ross had ever actually needed to recuse. The failure to divest his Invesco stock in accordance with the terms of his ethics agreement is the latest in a series of questions about the billionaire commerce secretary’s personal finances. The situation has prompted U.S. senators to call for answers and watchdog groups to request investigations. Newly released documents obtained by the Center for Public Integrity via a Freedom of Information Act lawsuit against the Office of Government Ethics and the Commerce Department reinforce that Ross’ ethics agreement was complex. The question of which assets Ross would be required to divest and how quickly was the subject of negotiation between his lawyers and government ethics officials. One January 2017 analysis prepared by Commerce Department lawyers envisioned Ross retaining a long list of his financial holdings across multiple sectors — aircraft leasing, banking, financial services, construction, oil and gas, railroads and shipping among them. “As explained below, ethics officials at the U.S. Department of Commerce have determined that such disqualifications will not materially limit Mr. Ross’s ability to perform the duties of Secretary of Commerce for the reasons stated,” the document said. “This analysis starts off with, ‘Here’s everything I’m going to keep,’ as opposed to, ‘Here’s everything I am going to divest,’ since as secretary of commerce, there isn’t much in the U.S. economy that you don’t touch directly or have influence over,” said Don Fox, a former head of the Office of Government Ethics. “It doesn’t seem very thorough,” said Kathleen Clark, a professor of law at Washington University in St. Louis and an expert on government ethics. Norman Eisen, chief ethics lawyer during the Obama administration, said the Commerce Department lawyers in the analysis “took a too narrow view of the potential for conflicts of interest” and relied too heavily on recusals to resolve any possible issues. Eisen leads the board of Citizens for Responsibility and Ethics in Washington, which has filed complaints against Ross regarding his handling of conflicts and divestments. Officials at the Office of Government Ethics appear to have pushed for more divestment than envisioned by the Commerce Department lawyers’ analysis, because Ross’ final ethics agreement required him to divest most of those assets — although Ross’ lawyers wanted him to have a more generous time frame to do so. Ross “would like a simple 180 day rule covering all divestitures. He sees the effort as an integrated whole, a massive restructuring and disposition of his business and personal financial life. He came away from the discussion last night with that in mind. Can we make that work?” Ross’ lawyer, Kassinger, wrote to ethics officials in January 2017. Walter Shaub, then the head of the Office of Government Ethics, told Kassinger that readily marketable assets should be sold within 90 days. The ultimate agreement gave Ross 90 days to sell many of his assets and 180 days on others. Some, such as Ross’ shipping company holdings, he was permitted to retain. The New York Times and the International Consortium of Investigative Journalists last year wrote about Ross’ holdings in a shipping firm, Navigator, whose clients included a Russian energy company with links to the Kremlin. Last month, Forbes reported that Ross, after receiving reporters’ inquiries about Navigator, shorted Navigator stock. The maneuver placed Ross in a position to make money if the stock dropped. In a statement to The New York Times, Ross said he shorted the Navigator stock in an effort to speed up divestment after discovering shares in the company he didn’t know he owned. Ross’ stake in another shipping company, Diamond S Shipping Group Inc., was the subject of a Center for Public Integrity investigation last year. Most of the company’s fleet of medium-range tanker vessels sail under Chinese flags, and the company has ties to a major Chinese investment fund. Ross said many assets, including his shipping holdings, were divested into a trust in which neither he nor his wife has any financial interest. This week, Ross told CNBC he had executed short sales of other stocks after realizing he possessed stakes he had not previously realized he owned. Ross has been one of the Trump administration’s leading negotiators on trade with China, and has made multiple trips to the country since assuming his position as commerce secretary. At least one senator is now questioning whether Ross has kept that promise. 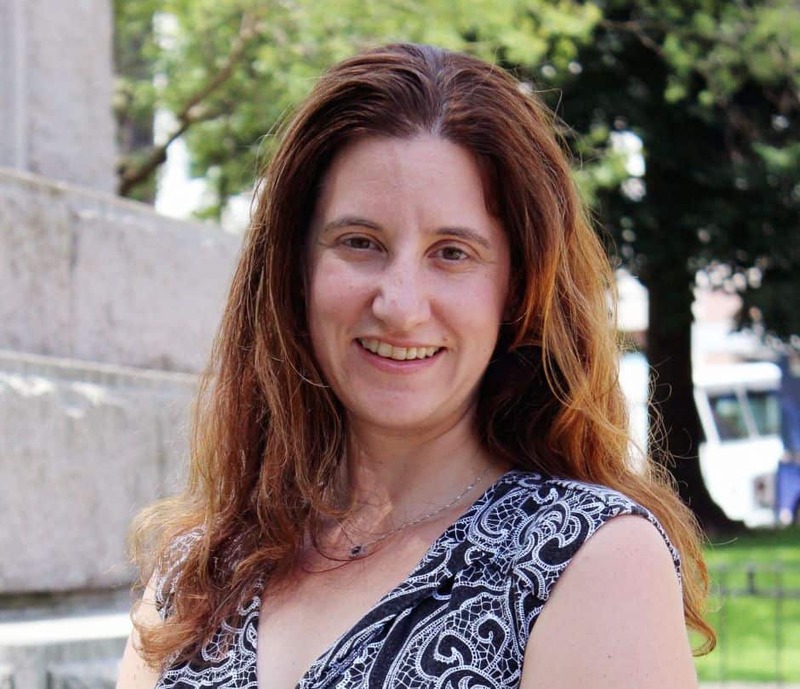 Rachel Leven contributed to this article.